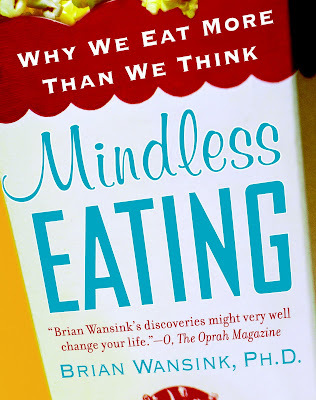 In "Mindless Eating," food psychologist Brian Wansink discusses why many people don't realize how much they're eating, what they're eating, or even why they're eating. Along with thoughtful discussions of studies he's done as director of the Cornell University Food & Brand Lab, their results and real-world applications, Wansink sprinkles his book with nuggets of wisdom for those of us who clutch Costco-sized bags of chips as we hunch, zombie-like, in front of the television. Rescript your diet danger zones. We all have various eating scripts for the five most common diet danger zones -- dinners, snacks, parties, restaurants, desks/dashboards. A common dinner script -- particularly for men -- involves eating second helpings of most foods until everyone at the table is finished or until the food is gone. If such a man wanted to rescript his dinner, he might try being the last one to start eating, pacing himself with his spouse, serving triple helpings of the healthy foods and single heapings of the meat and potatoes, or not including bread. Similarly, after-work snacking could be rescripted with a stick of gum rather than whatever is in the refrigerator. Distract yourself before you snack. Distractions are good news and bad news. They are goo when they prevent us from starting to snack. they are bad when they prevent us from stopping. at home, you can make your snacking life less distracting and less alluring by eating in one room only, such as the dining room or kitchen. Serve yourself before you start. If you can't distract yourself from a yummy snack, you can minimize the damage it does in a distracting situation (such as eating in front of the TV). To avoid "eating until it's over," dish yourself out a ration before you start. Eating straight from a box, bag, or serving bowl is the recipe for regret. I've found the last suggestion above to be particularly helpful. 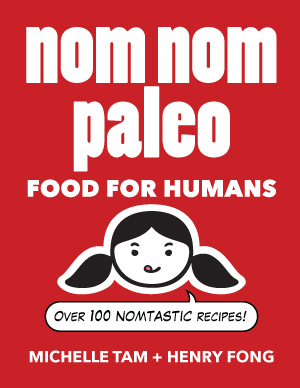 I used to eat handfuls of nuts (they're healthy! I told myself) straight from the container while staring at the television at home or computer screen at work. Since I started on the P90X Nutrition Plan, however, I've been diligently counting out a snack-sized portion of almonds (15 nuts = 100 calories) rather than taking the free-for-all approach. And surprisingly, this tiny handful of almonds actually satisfies me -- at least until my next feeding.